Yep – an honest-to-goodness, cultivated, artistically displayed dandelion garden. It lit up an otherwise steely morning, with its bursting of buttery flowers. How often do we think of dandelions as flowers? Nope, we think of them as pesky and unsightly, something to be sprayed with poisons, or dug up and thrown curbside for disposal. I dare you to go outside now and pick up a single dandelion. (Your lawn is probably bursting with them as mine is at this moment). Smell it, turn it around and look at it from all sides, see it as something other than an annoying, ugly weed. 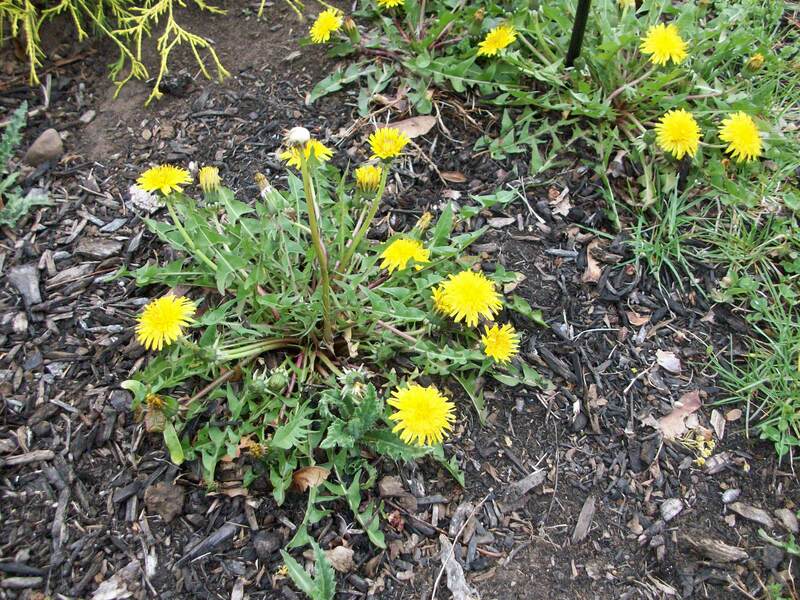 Horses taught me to love dandelions, they are so good for a sore equine stomachs… so yes, I am hoping for a good ‘garden’ of them! I never knew that dandelions were good for sore horse tummies! Do they help resolve a colic? Thank the Lord, my Buzzy has never colicked, but it is always a concern.